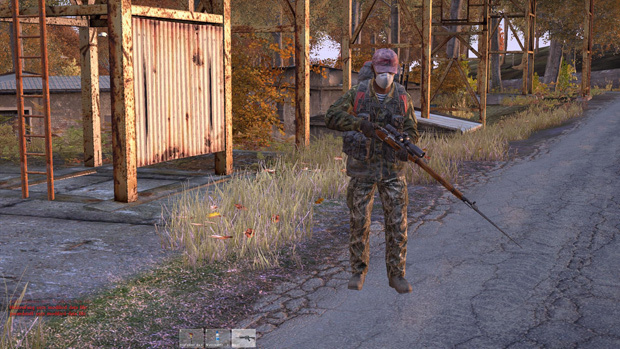 After a long time of waiting, and many delays it is finally there, the DayZ Standalone Alpha. I still remember the first time that I played the mod, it changed the industry quite a bit, and now it is finally time to see the result of it. The standalone has been a long awaited game by countless people around the world. As such when it experienced a rather rocky launch, I expected an avalanche of hate. Yet DayZ’s proud and mature fan base stood by the developers, hoping beyond hope that one day they would get their hands on this promising product. Before you are able to play you are reminded several times that the game is currently in the alpha phase. As such this review gives DayZ the benefit of the doubt that its many bugs, unfinished pieces, and otherwise problematic design decisions are still a work in progress. Later I will address this more, but for now I will briefly explain what DayZ is for our readers that typically shy away from the shooting genres. 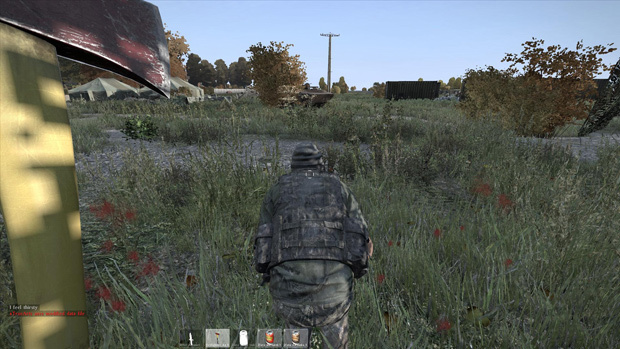 DayZ is a game that started as a small project by one of the developers of Bohemia Interactive. He made DayZ as a mod for the military simulation game ARMA 2. In this apocalyptic world, you will be able to find items and equipment to survive, but there are zombies and players out in the same world waiting to kill you, a long awaited concept by many apocalyptic fans. Utilizing technology developed for Bohemia’s ARMA 3, DayZ has now separated as a standalone with features designed specifically to better the survival horror experience. Before you join your first server you are able to make your character; currently it is a little bugged as this initial character will only last for your first life. Upon respawning, characters will be randomly created instead, but you can edit in your signature features on the fly via the character edit menu. In the menu players can choose between a few races. Female characters are now available as well, something sorely lacking in the mod. Besides that you can choose the color of your shirts, pants and shoes. Now that you’re looking good enough to eat, it’s time to party. Straight into the game you will notice that the game visually resembles ARMA 2, but with subtle improvements. The controls and graphics both look and work a little smoother. The engine that the DayZ Standalone is made on is essentially from a different game from Bohemia called Take On Helicopters; it is a game purely focused on flying helicopters but it uses the same code as ARMA 2 and ARMA 3. The new Chernarus is evidence of the powerful improvements this game brings to landscape mapping and building design. Chernarus no longer looks as grim as before. Colors explode around every corner as overall saturation brightness pleases the eye. With the new improved lighting system, the world of DayZ feels more like paradise lost rather than ten years after the apocalypse. 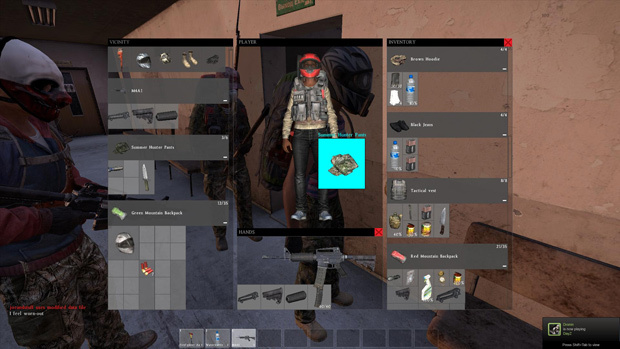 The new interface and inventory system is one of the most important improvements over what existed in the mod form. A lot of people used to have a lot of problems with the inventory, it was either too difficult to use or it didn’t offer fast enough access to goods when you needed them. The new system resolves these issues while toning down the overall bulkiness of it. Another major difference mod fans will notice is the disappearance of notification icons. They have been replaced with text messages in your chat that tell you if you are hungry and thirsty. This is likely to be scrapped though as fan outcry preferred the previous system. Luckily that’s the whole point of this Alpha as constant updates continue rolling in daily. Every day we have had an upgrade that either had a new weapon included, or a lot of major upgrades to the system and game. DayZ is about surviving. Period. In this zombie apocalypse you are one of the rare few that has lived through the initial infection and without a plan it’s not likely you will make it another day. It’s a simple concept and story, but the fun factor is what carries DayZ mod and the improved standalone takes it to the next level. One of the many improvements was the AI, particularly the pathing of the zombies. In the mod the zombies weren’t the sharpest tools in the shed, in fact they were rather dumb and their whole pathing made them such a minor threat that you could typically kill them with the sharpest tool in the shed. In the standalone we can already see a major improvement. The zombies actually look smart as of now; they no longer run around you like maniacs looking to find a way to kill you. No they actually walk straight up to you and either launch themselves on you or try to sneak in for an attack. 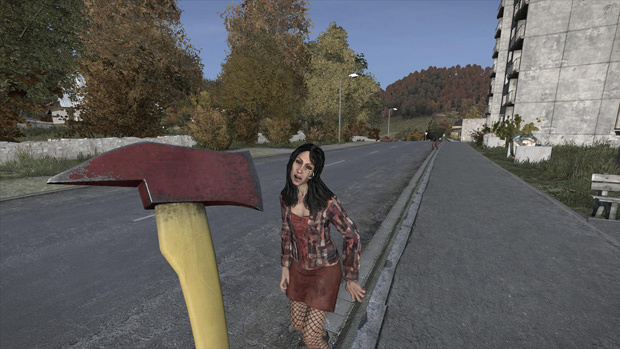 Melee weapons actually play a big role in DayZ right now. Every item you can find can be used to kill the zombies with, though if you want to live on more than just luck it’s recommended to snag an axe, bat, or shovel. 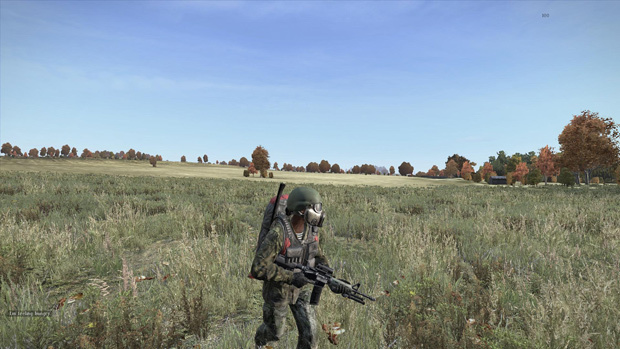 The weapons also had a major overhaul, and even though there are fewer weapons than before, it is a major improvement over ARMA 2. Some favorites from ARMA 3 seem to even be modified and included, just don’t expect any of the immersion breaking future tech. When you find a weapon, you can put all sorts of attachments on it, like scopes, bayonets, grips, silencers and a lot more. Finding an attachment for your weapon can really improve the weight, usefulness and even your aim as a player. The loot system is also different than in the mod, before you would stumble upon a group of different items lying on the floor in one of the few enterable houses and assorted spawn drops. But now in the new Chernarus, there are dozens of buildings featuring interiors, and players will have to dig through some cabinets to find their precious can of beans. Under beds, in cabinets, or simply on tables, an assortment of goodies are hidden throughout the house for your looting pleasure. Though this also adds to the feeling of survival horror, as the extended time it takes to loot will leave you vulnerable to a zombie surprise or worse, competing player. Food and water is scarce, just like how it should be in a zombie apocalypse, and zombies should be considered your friends. They are a threat, but not a serious threat, they have never been. You are not the only one roaming this world. Other players out there are trying to survive, and it is up to you who to trust. Everyone that you encounter can be waiting for you to turn your back, so instead of watching left and right when crossing the road, you will have to do this all the time, everywhere you are. As such there may be times when running into a zombie filled building might be the deterrent you need to ditch a gang of marauding players. Pick your poison. Again, I want to say that the game currently is alpha, and as I’ve said before you will see unfinished work and a lot of bugs. If you do not like this, do not buy into the alpha! I myself do not mind playing an alpha. In fact I often prefer it to finished products since you can experience and help contribute to the growth of a title. As of now the DayZ Standalone is far from being finished. There are many bugs but luckily only a few game breaking ones. The game is certainly playable and has plenty of potential. The zombies, and many of the features are still work in progress and can look a little lackluster at the moment, again it is an alpha and expected as of right now. If you are a big fan of zombie apocalypse games, then even the alpha state of this game is probably better than most of what you’ll find for sale currently. The game is currently cheaper than what the final product will be, so if you want to give the game a look you should definitely do so while the sale lasts. Though if you’re not known for your patience, just chill for a few months as I’m near positive the finished product is going to be worthy of our highest praise. 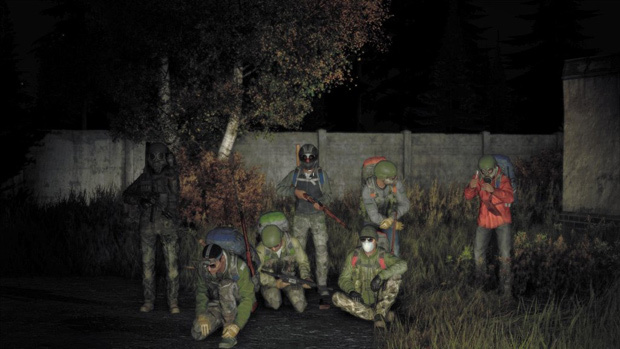 In the meantime, DayZ Standalone reminds a diamond in the rough.